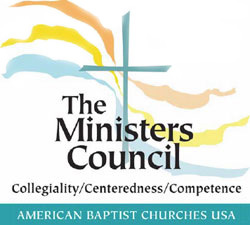 Together, members of the Ministers Council create a culture of Christ-centered excellence in ministry through programs which nurture Collegiality, Competence and Centeredness. Your dues support our frugal operations necessary to support a largely volunteer-led organization. Building on the foundations of the previous generations, we also seek to advocate for ministers' needs today in our varied and challenging climate. Current projects underway include reviewing our Code of Ethics for possible revisions and convening clergy committed to Health Care/Access/Advocacy. Please join us today, and experience the joy of the ministry journey known in community. In addition to the benefits above, various discounts are available for those whose dues are current. Our most recent announcement is a 30% discount for Judson Press with the 2019 members' code (discount applies to Judson Press books only; offer excludes curriculum or The Secret Place). For more information, contact Ms. Lisa Simpson, Member Services Coordinator, at info@ministerscouncil.com. 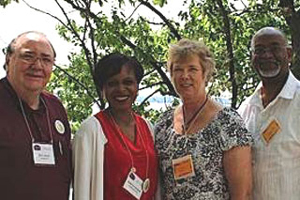 Additional reasons for Chaplains and Pastoral Counselors to join the Ministers Council.